The book review probably says more about the reader than it does about the book. What does it mean that I can’t find myself rooting for a marriage where the two people seem so unhappy? What does it mean that I find myself not caring about a man who at 40 years old doesn’t care about anything other than staying home to raise his children, and treats his wife like an older third child? What does it say about me that I can’t find any characters in the book to really love? Is that the fault of the book or the emotional state of the reader? Listen to the premise of the book and tell me if you feel the same. Georgie is married to Neal, a man who has left her…again… for Christmas…He’s annoyed that she wants to stay at home and work on the project of a lifetime instead of go to Nebraska to visit his mother. And it’s not the first time. He did it years before for the same reason – she has to work, forcing her to choose between her following the dream she’s been working on for 20 years, and him. Way to be supportive, Neal! Then there’s Georgie, who as a 40 year old mother still can’t take care of her basic necessities like taking a shower without someone reminding her, or finding something to eat that wasn’t prepared by someone else, or finding even basic clothes that aren’t provided for by someone else. Way to be an adult, Georgie! At her mother’s house, she finds a way to talk to her husband back when he left her the first time – a magic, time-travelling phone that allows her to talk to her husband as he was the first time he left. Does she talk him into coming back to her? Does she want him to? And what of her absolutely gorgeous best friend of twenty years, Seth, who might or might not be in love with her, and her with him? What about her children if she doesn’t get him to come back the first time? And are her daughters really children, or cats? It’s a strange concept for a book, although, for the record, I absolutely love strange concepts in books. But at the end, the questions don’t all get answered, and the answers might not be so great even when you get them. You know someone gets hurt in the end of the book, but who. As a reader, the tough part is being okay with the inevitable sadness that you know one of these characters will suffer. This was another book I found well-written in some places but disappointing in others. The beginning, the middle and the end are fraught with situations where you just know it won’t end well and it’s hard to get invested in characters and then have them just disappear in the book. I have to read another of Ms. Rowell’s books to see if this is characteristic of her writing. For now, I give it 3 stars. Cecelia is living the perfect housewife life – 3 children, good looking husband, she even has a business that allows her to work from home in her off course and make more money than her husband. Perfect! Then she finds a letter her husband wrote for her to open only after he dies. When she tells him she’s found the letter, he starts acting weird. What is her husband’s secret? This letter is clearly Pandora’s box, Shroedinger’s cat – if she opens the letter, she can deal with whatever it is without him having to die first, but can she live with him knowing what the secret is? Can she live with him knowing her husband has a secret he’s never shared with her? The characters are flawed. What good story has perfect characters? But the Husband’s Secret is a very well-written story of love and life and regret, opportunity and the inevitable consequences of our actions. Even when the characters were foolish, you understand why they made the choices they did. The story takes place in Australia which made me feel like I was on vacation and had met these people and was hearing about their lives. That the children suffered so much for the decisions their parents made. That there are wonderful, misunderstood men who didn’t get the good they deserved. 3. 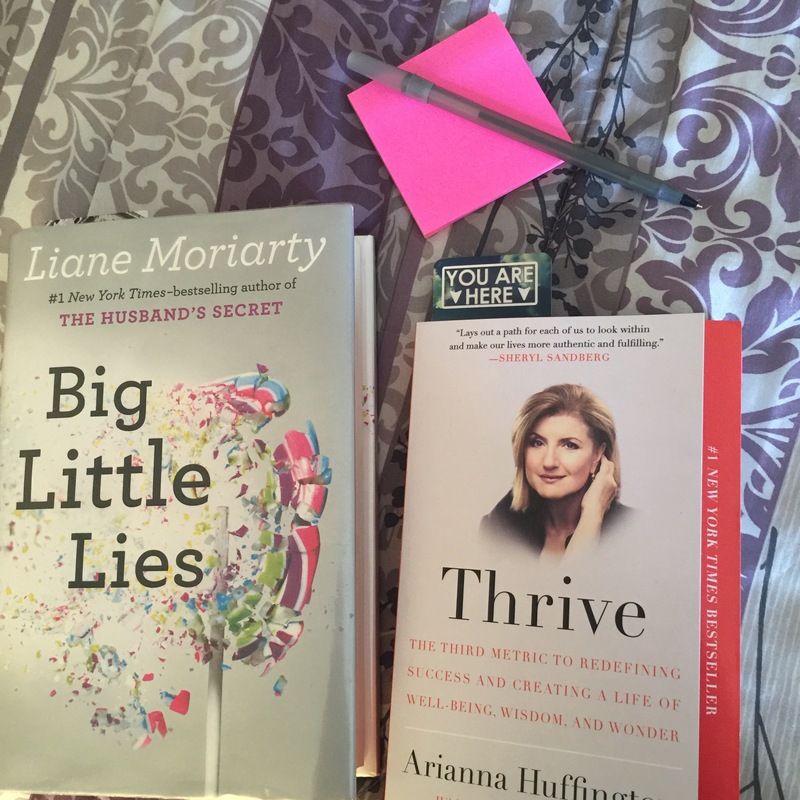 I’m in the middle of Arianna Huffington’s Thrive (for inspiration) and Liane Moriarty’s Big Little Lies (for my Fiction indulgence). Reviews to follow. Zadie Smith (White Teeth) wonderful debut, young novelist, and I’d love an introduction to her agent. Gabriel Garcia Marquez (100 Years of Solitude) how did he know all the sacrifice would be worth it? Richard Russo (Empire Falls) as a professor, what would he teach me? Toni Morrison (The Bluest Eye) how did she do it? Ellen G. White (Education) she wrote SO much in a time where there was no computers or even typewriters. Maya Angelou (I Know Why The Caged Bird Sings) because I would have loved to be in the presence of such a strong woman. Any writers you would like to meet? Nice blog! I have a similar writing blog if you ever want to stop by. http://tracykauffman.wordpress.com. My latest post is called: Which is Better Words or Pictures. You might find it interesting. Sliding Doors is such a good movie! 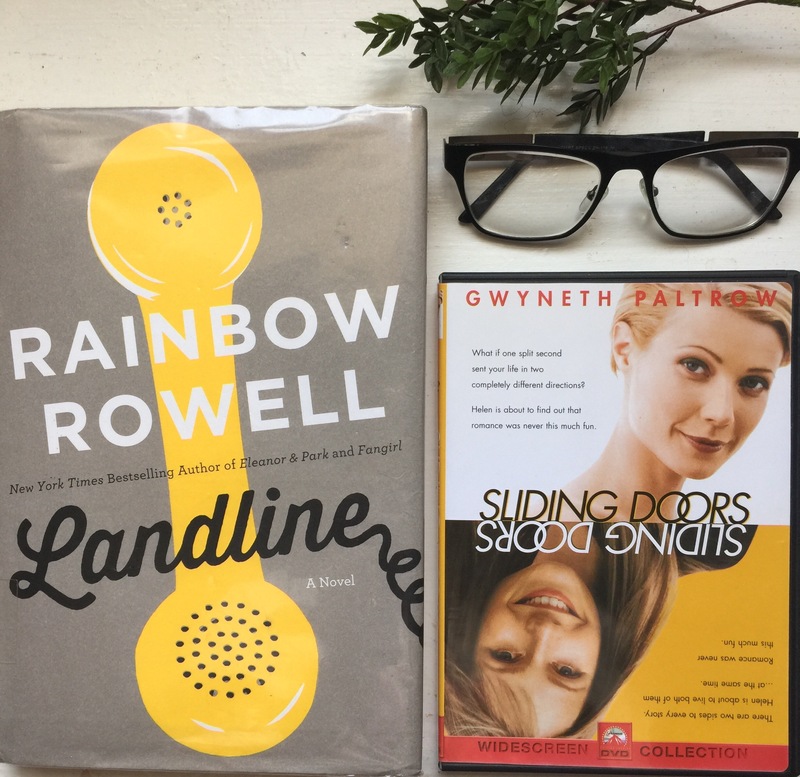 The husbands secret is pretty good, and I need to get my hands on that Rainbow Rowell! Good. I wanna hear what you think about it. I love Sliding Doors! It’s one of my favorite movies! I might have to pull it out this weekend. It’s musical week at the school that I work at, so on top of the holiday weekend, we have an extra day off on Friday so that we can all rest and recover from the intense schedule this week. I’ve been fighting a virus and allergies for the last week and a half, so I’m really excited to just write, read and watch movies as I try to rest up this weekend! Looking back on Landline, I really enjoyed the novel. I wasn’t sure how much I liked it as I read it. I felt really torn on the characters, because like you, I really didn’t get excited about the characters as adults. I was frustrated with the husband, that when his wife’s dream was finally reaching a breaking point he was so difficult about it. But I’m a pastor’s daughter, so while my dad made a lot of time for family when I was growing up, it was inevitable that there would be emergencies with people in the congregation that would pull him away on holidays and birthdays. As I read the book I remembered how much I hated hearing the phone ring on holidays, because I knew there was a good chance there was an emergency and my dad would have to leave. So I was able to identify with him on that level. But I still didn’t like that their marriage had come to a point that their marriage was in jeopardy because they couldn’t work through the demands of her dreams/job and his feelings related to it. BUT, I so loved reading about when they were first getting to know each other and I really enjoyed her phone conversations with her husband from the past. And it was that connection that made me cheer for them as a couple and want to see them work things through. Thanks for your in depth reply. Love it! So the thing that got me in Landline… And I totally accept what you said about ruing the phone ringing on holidays because you knew what it’d prob mean. I didn’t really like the way how passive he seemed although he said he liked her in the beginning, it was kinda her having to push it. Their phone conversations were great but it was her as an adult talking to him as a kid. So her, knowing what she knows now, hanging on to the younger version of him. That’s prob what made it strange for me. But still a good read. 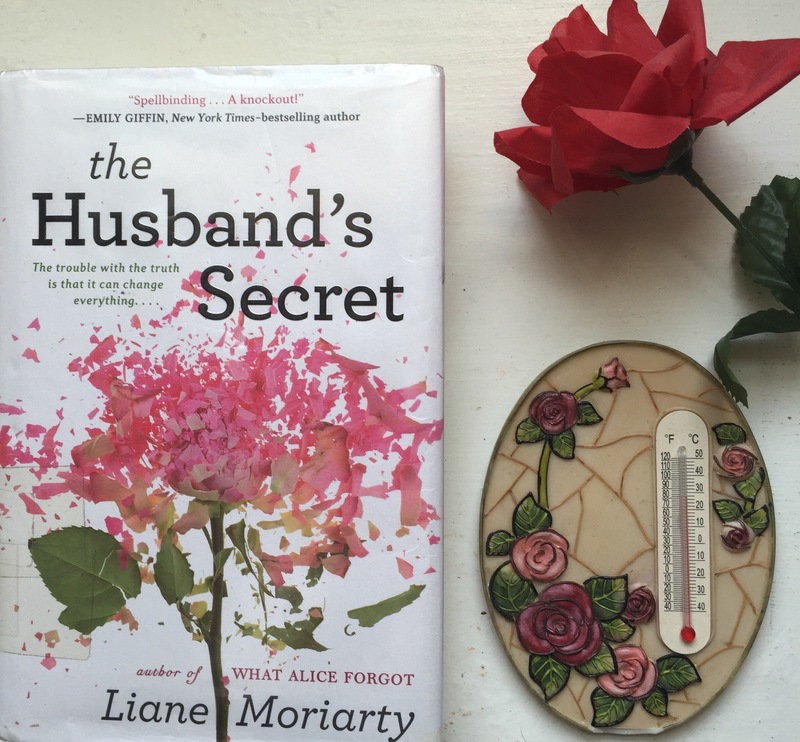 Liane Moriarty’s books were great. And because of the similar themes in both books I read from her, I am checking out her other work too. You should definitely read my post today about Big Little Lies. That sounds like a great author to meet. What was her criteria for choosing the homes? Landmark houses of some sort?